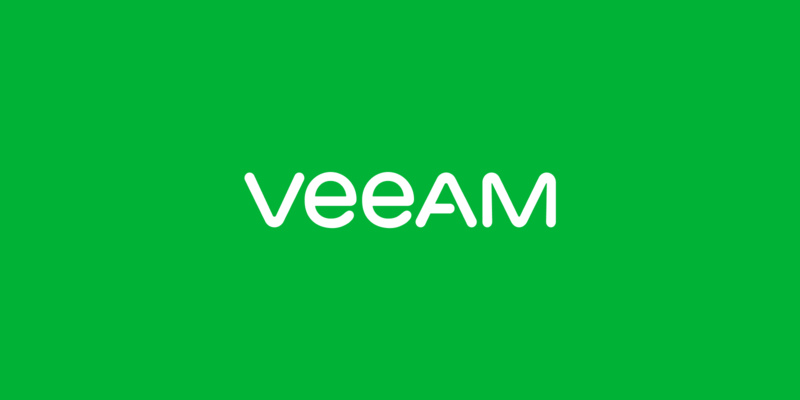 BAAR, Switzerland: January 22, 2019: Veeam® Software, the leader in Backup solutions that enable Intelligent Data Management™, today announces general availability for new cloud data management capabilities as part of Veeam Availability Suite 9.5 Update 4, as well as the upcoming Veeam Availability for AWS and Veeam Availability Console v3. The new major capabilities deliver cost effective data retention, easy cloud migration and data mobility, cloud-native backup and protection for Amazon Web Services (AWS), portable cloud-ready licensing, increased security and data governance, and solutions to make it easier than ever for service providers to deliver Veeam-powered services to market. IT leaders are increasingly concerned about cloud workloads in their multi-cloud environments; as 58 percent state that the migration of data is challenging, 82 percent are worried about application uptime and 61 percent are not confident about their cloud workload backup and recovery. [i] Veeam’s new capabilities address these concerns and challenges for enterprise IT leaders. Cloud Tier: Provides unlimited capacity for long term data retention by using native, cost-effective object storage integrations with Amazon Simple Storage Service (Amazon S3), Azure Blob Storage, IBM Cloud Object Storage, as well as Amazon S3-compatible service providers and on-premises storage solutions. With Veeam, customers avoid double charges for storing data in the cloud – unlike with other backup providers who impose “cloud tax” on top of the cloud provider’s storage cost. Enhanced Veeam DataLabsTM: Businesses will have increased security and data governance options including GDPR readiness and malware prevention with DataLabs Staged and Secure restore. Cloud Mobility and Cost Savings: By decoupling backups from the Amazon Elastic Compute Cloud (Amazon EC2) infrastructure and storing data in a low-cost format inside Amazon S3 object storage or in an on-premises backup repository, customers will achieve advanced cost savings and the data separation required by the 3-2-1 rule of backup. Portable: Licenses are moved automatically when workloads are moved between platforms: “VMware – Hyper-V – Physical – Windows – Linux – AWS – Azure – IBM Cloud – other” helping customers in their multi-cloud strategy with no additional license cost. Simple: Purchasing and managing Veeam licenses is greatly simplified saving customers time and resources. Enhanced License Management and Usage Reporting: Partners can more easily go-to-market with Veeam-powered services by aggregating management and reporting across Veeam Backup & Replication, Veeam Cloud Connect and Veeam Agent installations. “Microsoft is committed to helping our ISV Partner community deliver cutting-edge solutions that leverage the power of Microsoft Azure. Veeam’s Hyper-Availability platform redefines cloud data management with cloud mobility for Microsoft Azure and Azure Stack and native Azure Blob Storage support for Veeam-powered archives. The solution benefits Microsoft customers because it enables data protection, recovery and portability across their entire Microsoft Azure and Azure Stack infrastructure. Customers can protect, migrate and maintain mission critical workloads in Azure with confidence.” – Tad Brockway, general manager, Microsoft Azure Storage, Media and Edge at Microsoft Corp.
Veeam is the global leader in Intelligent Data Management. Veeam Availability Platform is the most complete solution to help customers on the journey to automating data management and ensuring the Availability of data. With more than 330,000 customers worldwide, including 82 percent of the Fortune 500 and 58 percent of the Global 2000, Veeam’s customer satisfaction scores, at 3.5X the industry average, are the highest in the industry. The Veeam global ecosystem includes thousands of active channel partners, and Cisco, HPE, Lenovo and NetApp as exclusive resellers, as well as 21,700 cloud and service providers. Headquartered in Baar, Switzerland, Veeam has offices in more than 30 countries. To learn more, visit https://www.veeam.com or follow Veeam on Twitter @veeam.